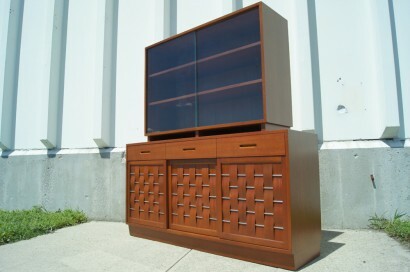 This classic mahogany cabinet by Edward Wormley for Dunbar provides ample storage. 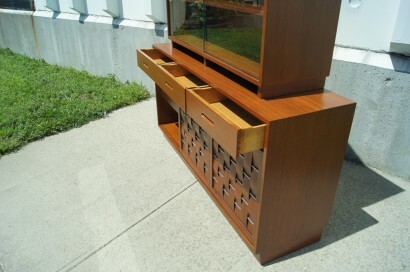 It comprises a hutch with sliding glass doors that sits on a sideboard. 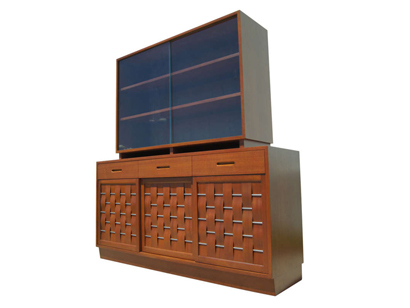 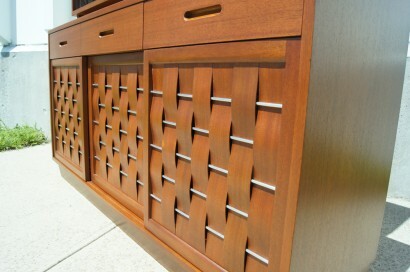 This lower case features three drawers with recessed pulls and additional drawers and shelving behind sliding doors whose mahogany veneer strips are interwoven with nickel rods. 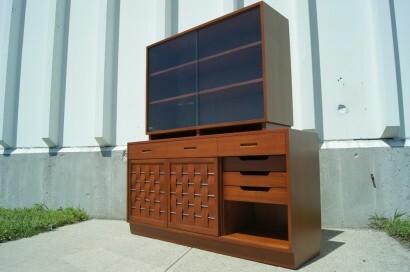 The upper case measures 48 inches W x 15 inches D x 34.5 inches D.
Lower case measures: 61.5 inches x 18inches D x 32 inches H.